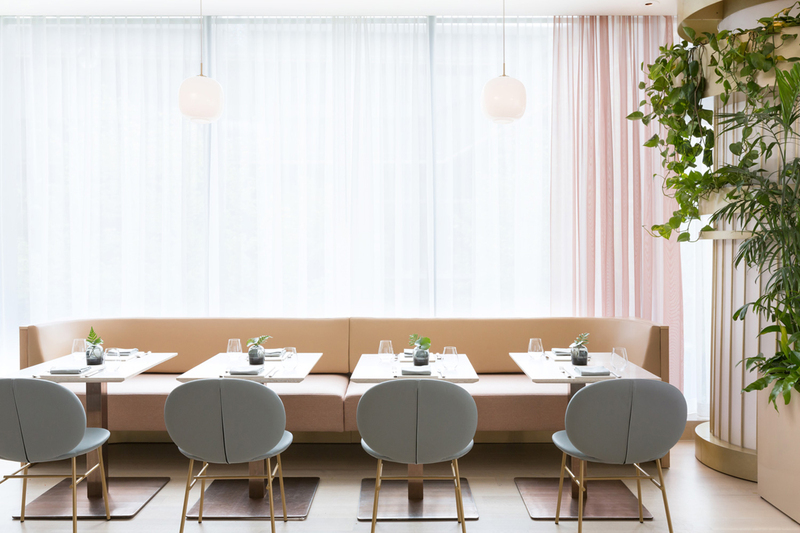 Designed by Vancouver-based Ste. 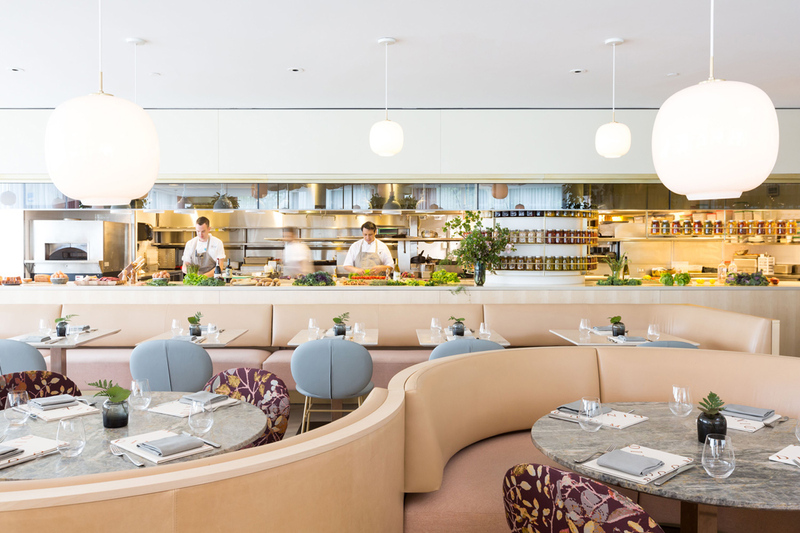 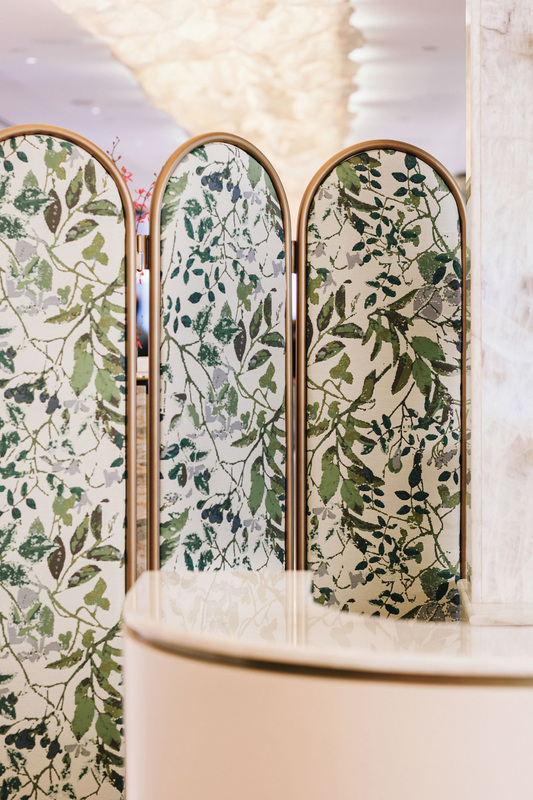 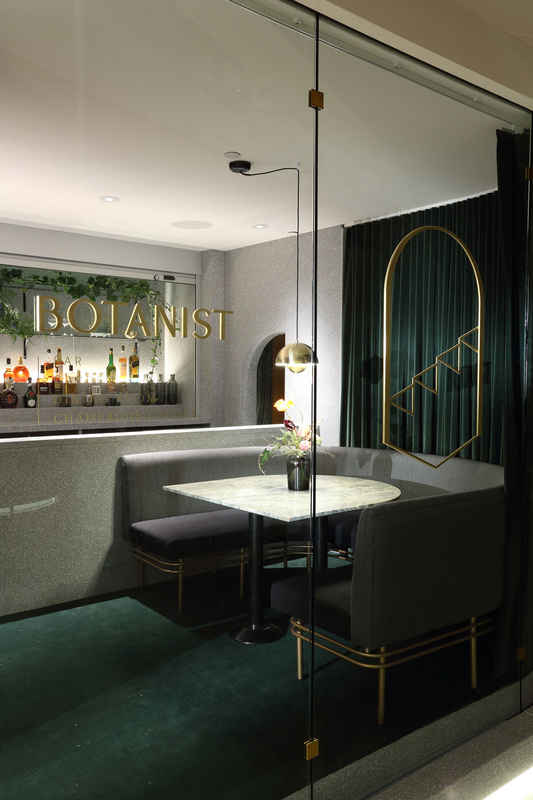 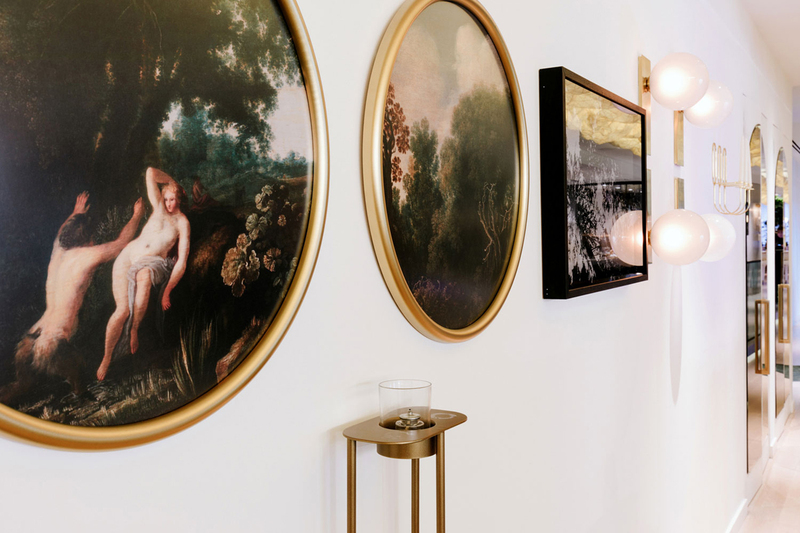 Marie, The Botanist restaurant interiors were inspired by the surrounding natural environment of the Pacific Northwest. 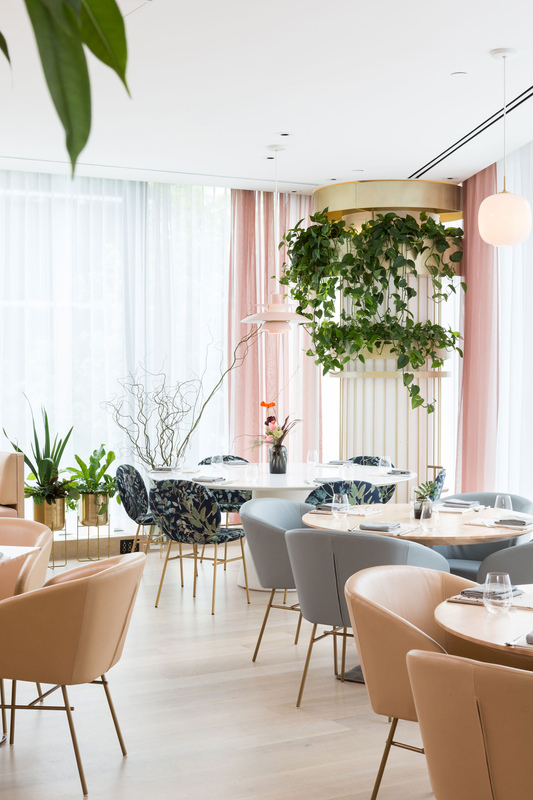 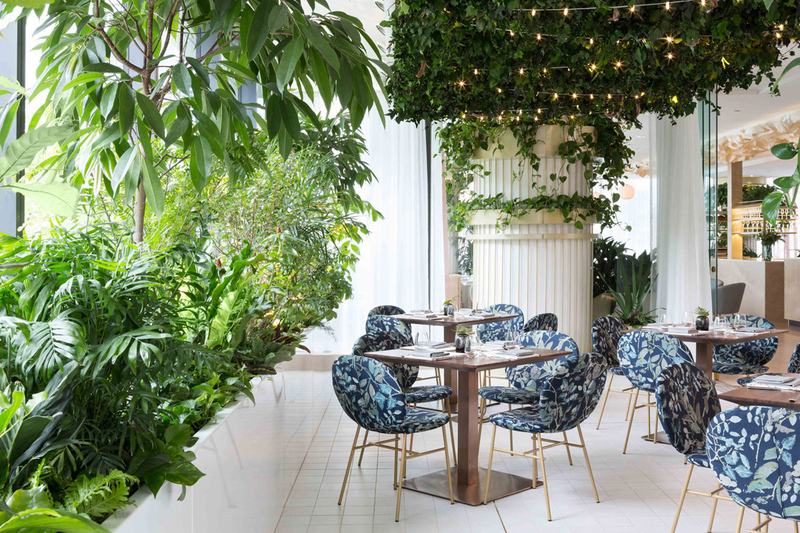 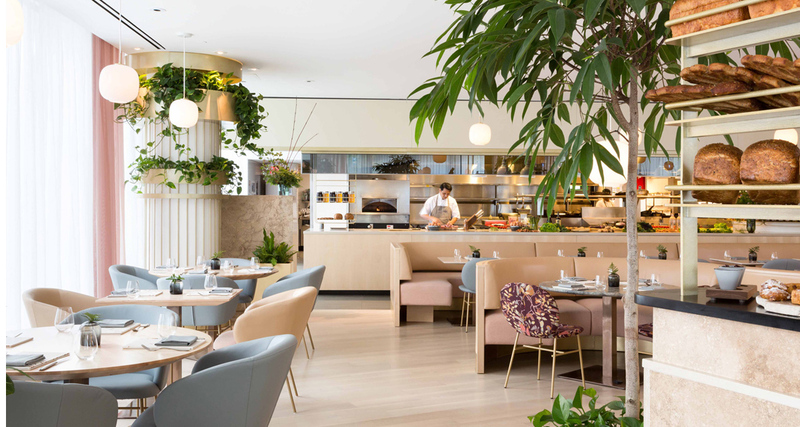 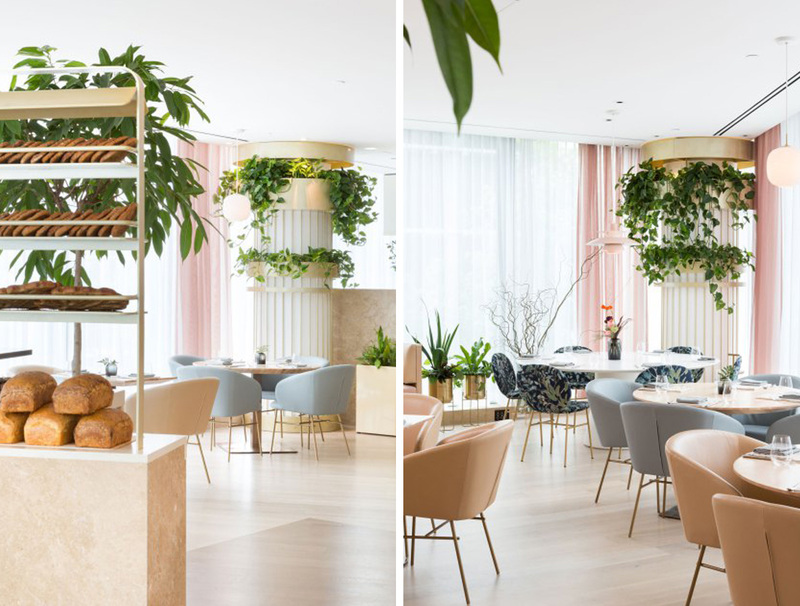 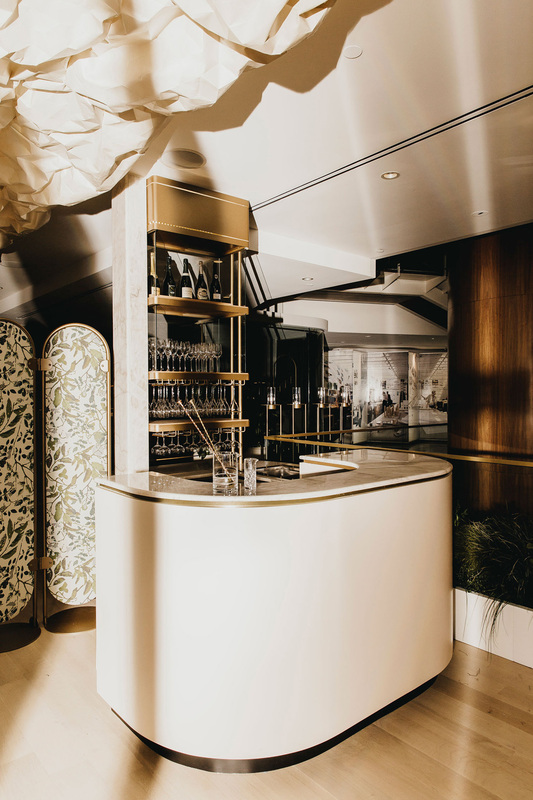 The bar, outdoor terrace garden, vibrant dining room and lounge are filled with greenery, a trellis and more than 50 different types of plant species, including rare fruit bushes and edible species. 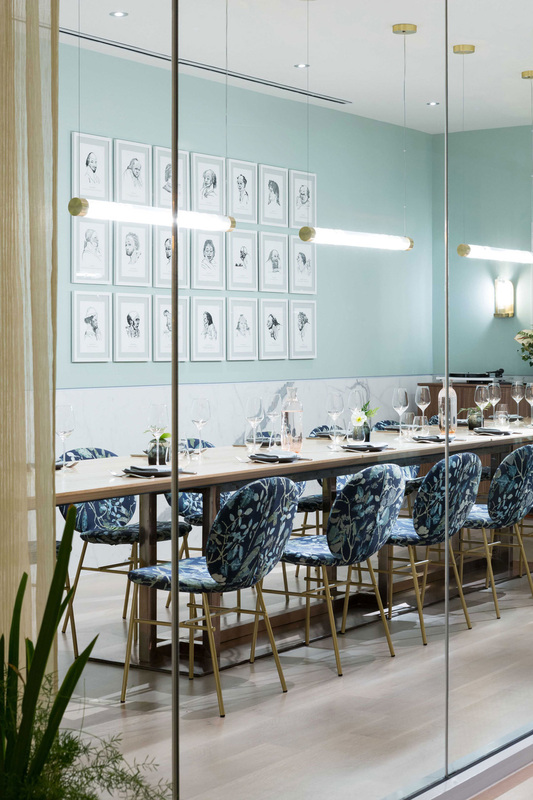 In the dining room the focus is subtle, but defined, using natural stones of limestone, granite and wood.